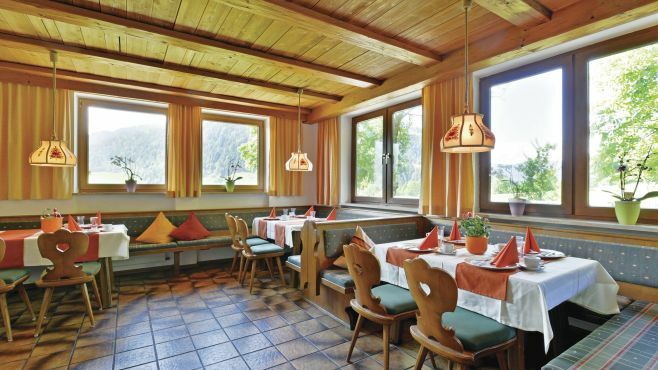 Our view: Traditional style pension popular with our customers having cosy wood panelled cellar bar. 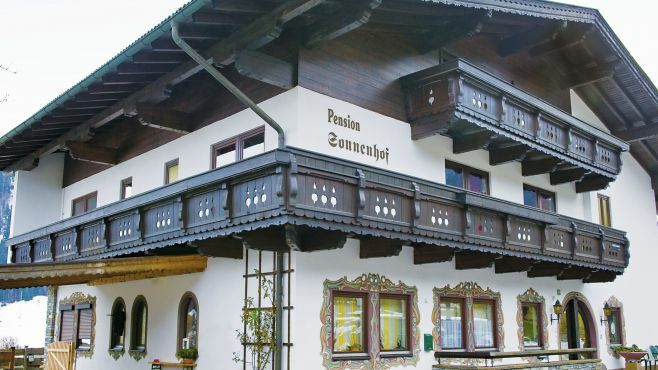 The Pension Sonnenhof is a small and friendly guesthouse on the edge of Söll. 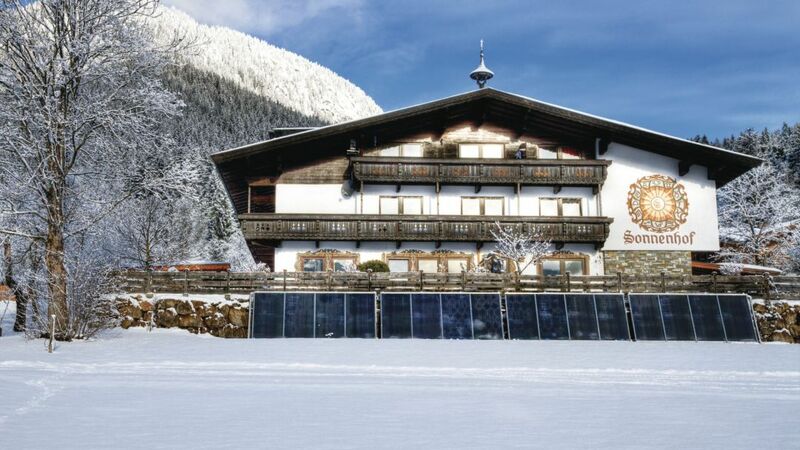 Its slightly elevated location is peaceful but it’s still only a gentle 10-minute walk to the village centre. It’s a bit further to the ski lifts, but fortunately the ski bus stops just a couple of minutes up the road from the hotel. All rooms have a TV and free WiFi. 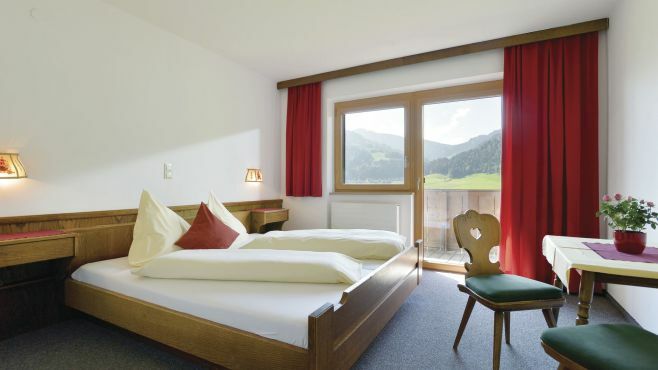 Standard Twin Room - sleeps 2: Austrian twin beds, private shower, WC and balcony. Please note: Half-board option is from Friday-Wednesday only, not available on Thursdays.